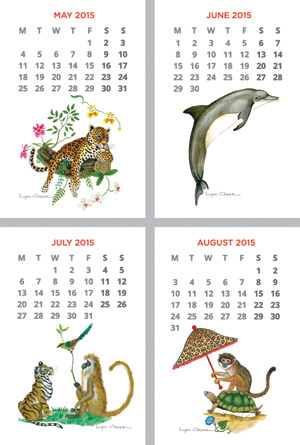 This 4" x 6" calendar is perfect for any spot from your desk to your kitchen counter. 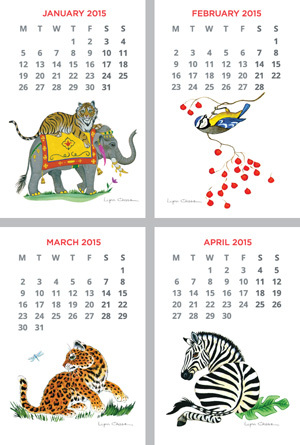 Each month features a full color painting and illustration by Lynn Chase that are featured on her beautiful tableware. The 4" x 6" cards fit into the included acrylic tilt-back frame. All wrapped and ready to give this Holiday season in a lovely red organza bag. 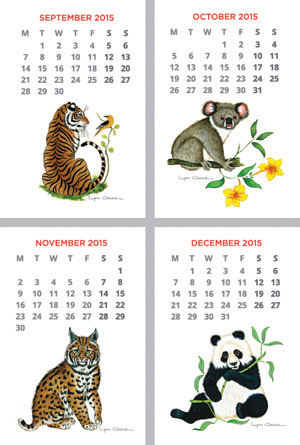 Included: 12- 4" x 6" cards for every month of the year and a 4" x 6" tilt-back acrylic, self-standing holder.